Yesterday I took a walk in the country. 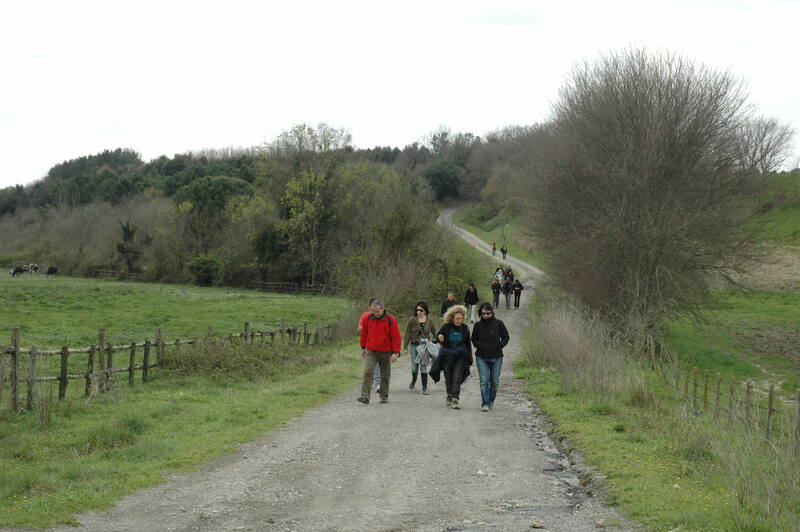 But I also took a walk in Rome, since most of the 20 plus kilometers were within the city’s administrative limits. 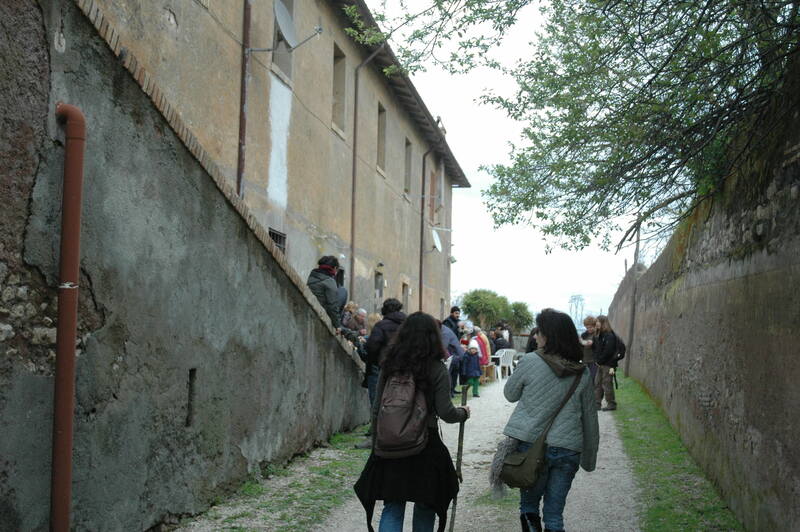 I was not alone but in the company of 27 enthusiastic walkers under the banner “primavera romana” (Roman spring) whose goal is to experience the city by walking its roadways and pathways, especially those less travelled (at least on foot) by normal people. I had heard about these outings in the past, encountered mentions on the web or seen them in the various newsletters I get, but the logistics, to date, had never worked to join in. Yesterday when I opened my mail, read a message from Giulia “surfing on your blog I thought you could be interested…” I saw my opportunity. And so I grabbed some things I thought I might need, walked down to the station on my street, and hopped the next train to St. Peter’s (one stop away, just outside the walls of the Vatican) where I caught another train heading north toward Civitavecchia. 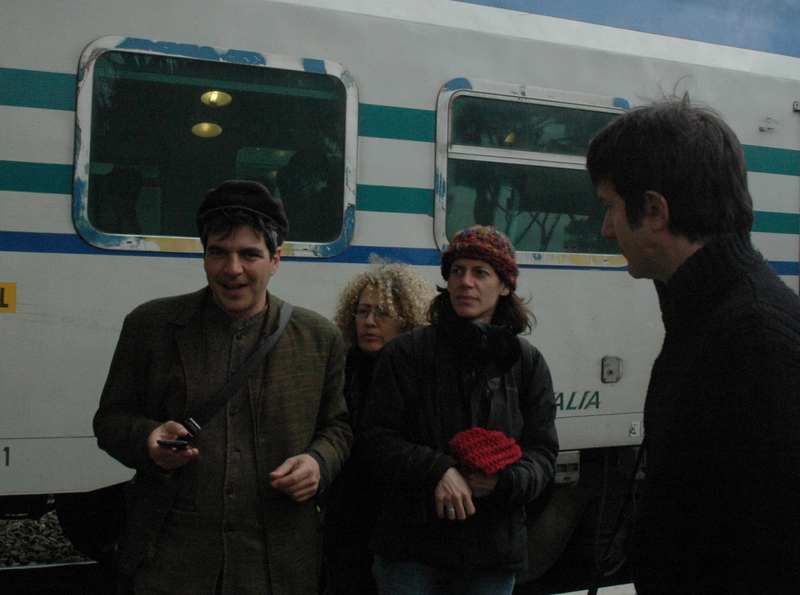 Of the several appointments announced on the website one was at Aurelia station for the departure of the train I was already on and it wasn’t hard to ID the group as it boarded: hiking boots, adventurous attitude, clearly for most not the first such outing. I introduced myself and before we knew it we were at our stop: Maccarese-Fregene. 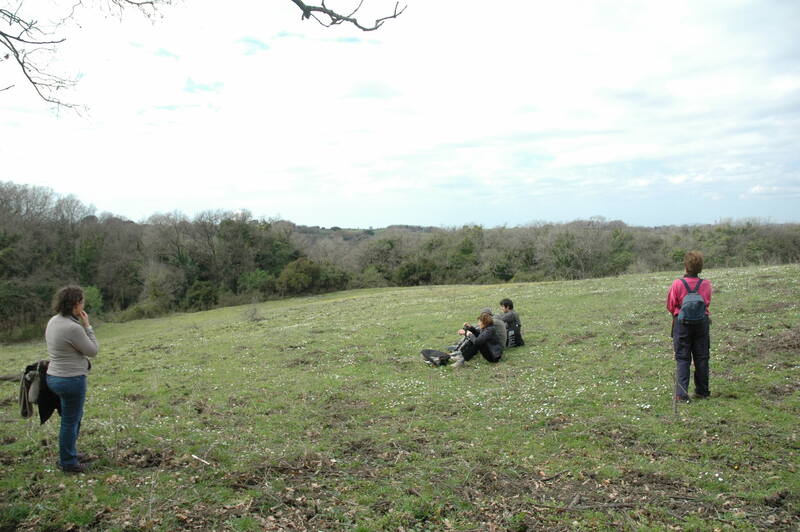 If there can be said to be leaders of this initiative and these walks, it would be Lorenzo and Giulia, active in the group Stalker/Osservatore Nomade, a sort of architectural research team founded in the mid 90s. 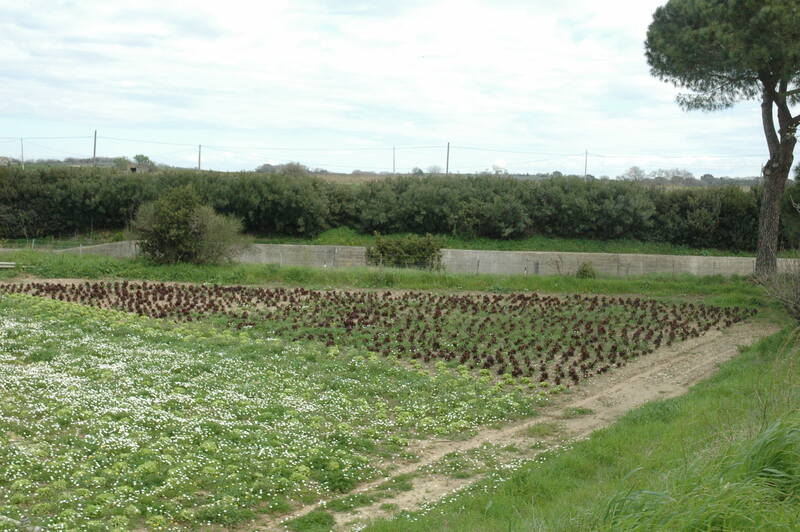 They had mapped out a route to coincide with meetings with local stakeholders, particularly in the area of Castel di Guido where one of two city-owned working farms still persists. 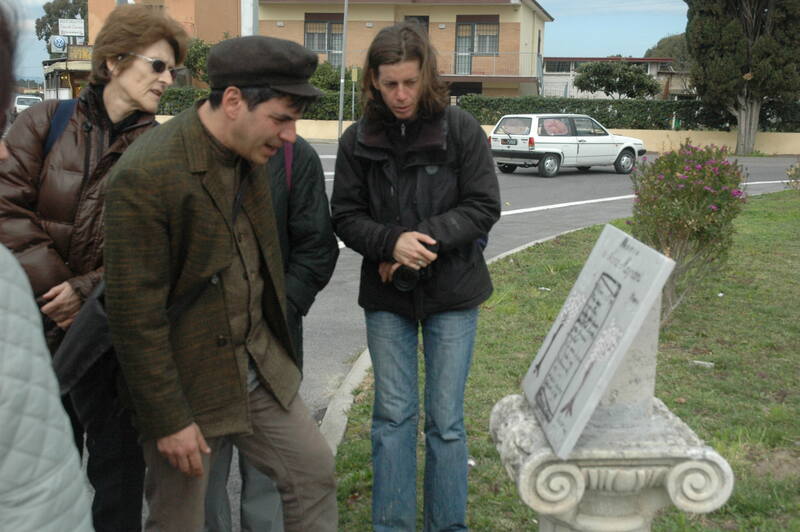 This was our first destination and Lorenzo led the way. 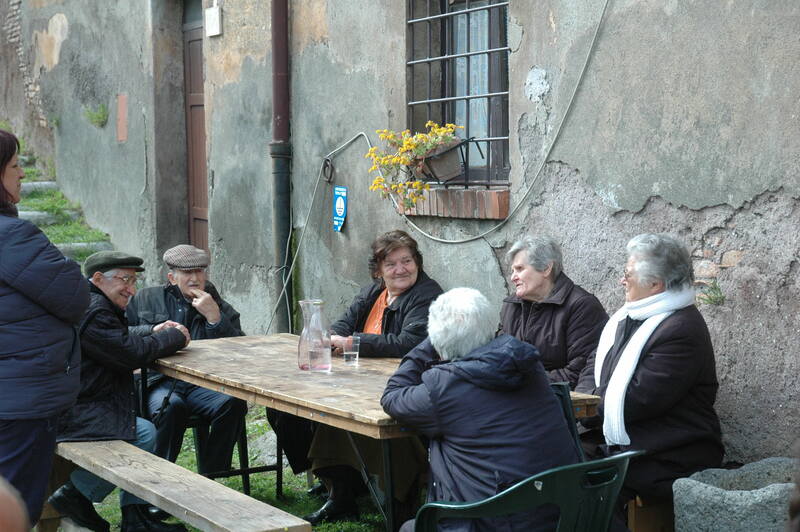 Castel di Guido is comprised of several thousand hectares of farmland surrounding a “borgata agricola”, a farming village which still boasts a public school, a day-care center, a public health clinic, a community center, a museum of rural culture and more. 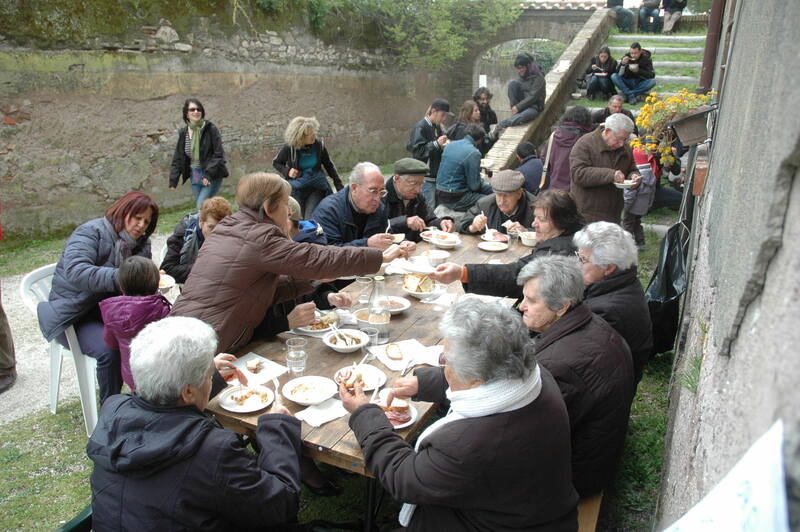 Founded by the church-run Santo Spirito hospital to provide food for patients, it became Italian after the unification of Italy 150 years ago and is today faced with the threat of development. 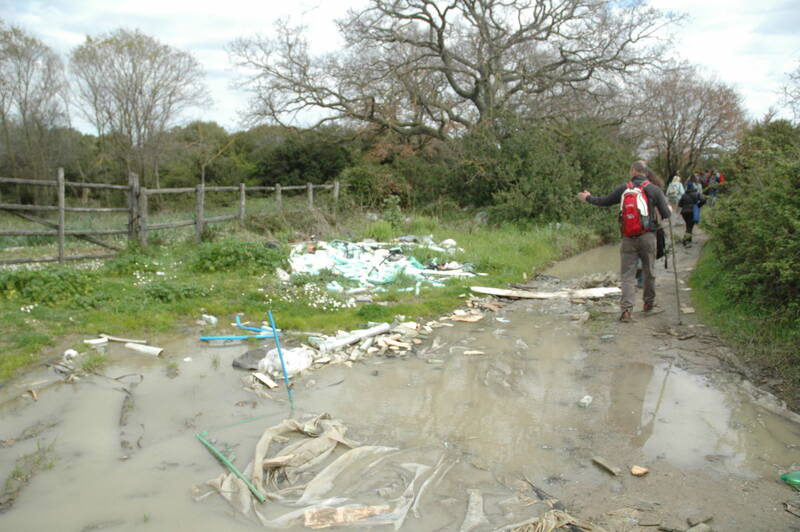 Instead of producing revenue for the city the property is actually costing Rome money to maintain, an absurdity which can only be blamed on ineffective management and confused priorities which see in land the promise of economic profit before food. The farm staff has been reduced to a fraction of what it was even 50 years ago but they still produce and sell the results in Rome at the weekend farmers market in Testaccio. 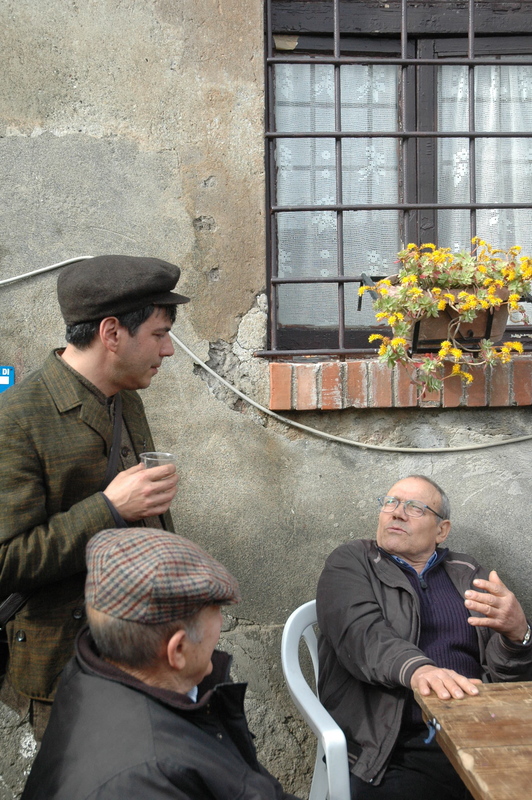 We lunched on lentils and soup, local salamis and cheeses and good red wine (a deal at 6 euro per person contribution). We heard from some of the current and former farmworkers who are keeping alive the oral history of the farm. We viewed a video produced by the local associations with interviews and images of the women from the farm. The photos below do better justice to the encounter. After lunch the walk took a different course, in single file along roads made for cars, not people, zig-zagging around fenced properties, revising plans on the fly as the logistics of limited Sunday train schedules and the slow speed of trekking required. At one point we found ourselves at a truckstop, probably the only pedestrians ever to have ventured there. Night fell and we were still pretty far from the train station where we were to have continued the itinerary (but were now merely hoping to find a lift back to “Rome”). And it was getting cold. I was glad to have packed my battery-charger so my phone’s gps was still working, and my bike light to provide a small safety beacon as cars zipped past us in the dark. But the mood was far from grim or desperate and, in fact, eventually we found our way back into the city. Will I do it again? You bet. I think I’ve finally found a group of urban observers even crazier than me.